Aloha! Middle Campers enjoy a Luau! On Wednesday morning middle campers gathered in the front circle for a Luau! 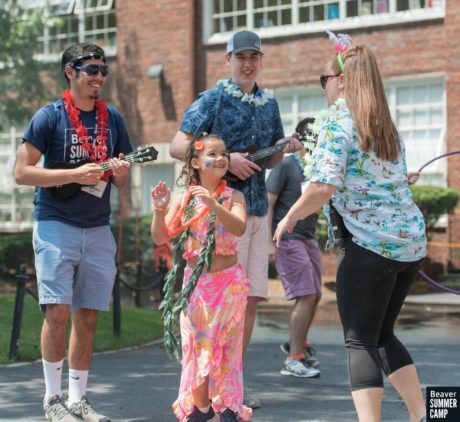 Complete with Hawaiian-style leis and grass skirts, the even had something fun for everyone! Campers came wearing their best Hawaiian attire and enjoyed ukelele music and hula dancing. Counselors even joined in the fun! 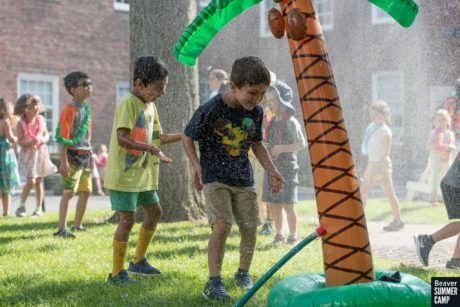 Campers could cool off under the palm tree style sprinklers and enjoy tropical fruit flavored popsicles. Other activities included hula hoops, bubbles, and even a limbo competition! 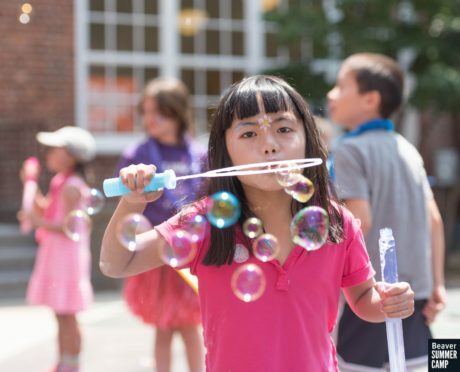 For all of the great photos of this fun-filled event, check out our album on Facebook!